Edition: First edition.Material type: Book; Format: print ; Literary form: Novels ; Audience: Adolescent; Publisher: New York : Feiwel and Friends, 2014Availability: No items available Checked out (1). 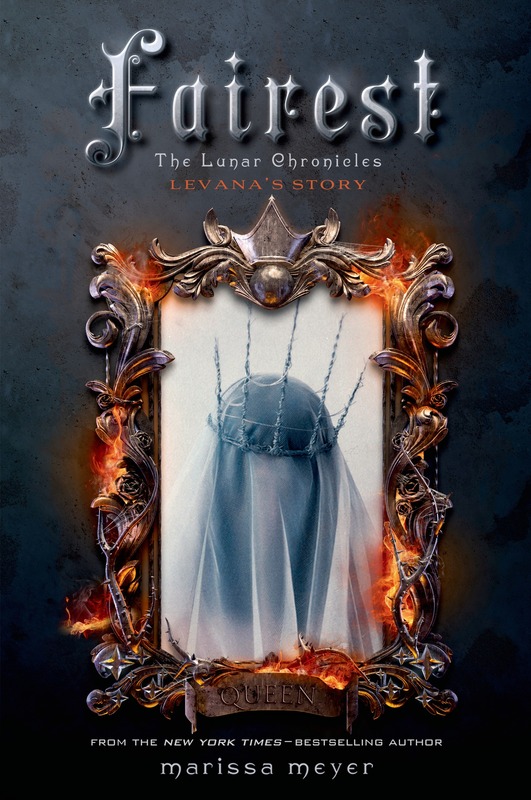 Stars above : a lunar chronicles collection / Marissa Meyer. Material type: Book; Format: print ; Literary form: Fiction ; Audience: Pre-adolescent; Publisher: New York : Feiwel and Friends, 2016Availability: No items available Checked out (1). Fairest : Levana's story / Marissa Meyer. Edition: First edition.Material type: Book; Format: print ; Literary form: Fiction ; Audience: Adolescent; Publisher: New York : Feiwel and Friends, 2015Online access: Cover image Availability: No items available Checked out (1). Edition: First edition.Material type: Book; Format: print ; Literary form: Novels ; Audience: Adolescent; Publisher: New York : Feiwel and Friends, 2015Availability: No items available Checked out (1).